About 1923 Claude was living in 23 Bel View Ave, Hamilton, Ontario, Canada . Pearl had an obituary on 7 March 1983 Hamilton, Ontario, Canada , in the Hamilton Spectator. A special memorial service will be held later this week for noted citizen and founder of the Ancaster Library, Pearl Kirton, who died Friday in Chedoke Hospital. 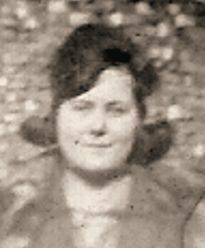 Born in Westover in 1897, she married the late Claude Kirton in 1921 and moved to Ancaster in 1950. Her daughter Betty Lamers of Ancaster recalls not only her dedication to the library project but also her love of the printed word. "She loved mysteries, especially Agatha Chtistie," Mrs. Lamers said, "but she used to say that she probably didn't read the right type of books." A long time friend Melba Found said Mrs. Kirton's were also directed at other community concerns. "There's a railway crossing over on Highway 53 near Hannon, and she said they needed signals at the crossing. She worked and worked on that and finally she got them. And forever after that, the place has been known as pearl Kirton Crossing." Mrs. Kirton was awarded the outstanding citizen of Ancaster Township award for her work during the years 1959 to 1964 with the library. A plaque on the new library building in Ancaster mentions Mrs. Kirton's contribution to the service's early days. 1945 - CKOC, Hamilton: CBC Trans-Canada Supplementary stations: CKCV, CKOC, CKLW, CJIC, CKCK, CFAR, CFGP, CKLN Nelson. Bob Amos was continuity editor. W.T. Cranston was manager and W.M. Guild was commercial manager. Lloyd Westmoreland returned to CKOC as promotion manager. He had been serving with the RCAF. G. Norris MacKenzie left CKOC for All-Canada Radio Facilities. Late in the year, A.N. Todd, former chief operator of CKOC, returned to the station after three years in the navy. He would now be chief production engineer. Frank Kirton also returned to CKOC. He had been with the RCAF. Kirton took over the transcription and record library. 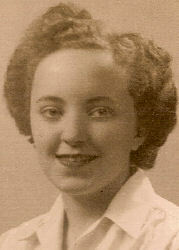 In 1947, Francis Kirton left CKOC to become program director at CFOR Orillia. 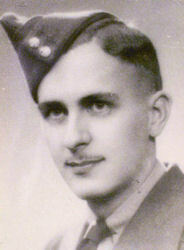 1947 - CFOR, Orillia: Francis Kirton joined CFOR as program director from CKOC in Hamilton. 1957 - Frank Kirton started working for radio station CKSL AM, London Ontario in 1957, as production, program and music director. He married a concert pianist by the name of Jeannette but they were later divorced. F. Vincent Regan was president of the company. 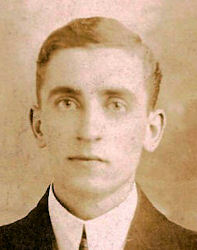 J. Lyman Potts was CKSL's manager. Pete James was sports director. Ron Turnpenny was chief engineer. David Bradley was news director. Francis R. Kirton was production, program and music director. Bob McAdorey was host of London's Uncle Bob Show - a program for children. Mal Thompson was the morning man. Gerry Bascombe was also on staff. 1962 CJFM-FM, Montreal: On October 1, 1962, CJFM-FM was officially opened and began broadcasting from brand new studios one floor above CJAD's studios. Lyman Potts, retaining the post of program director of CJAD, was appointed Manager. Program director was Frank Kirton. News was provided by CJAD's newsroom headed by Doug Williamson, Chief engineer was Ernie Mott. 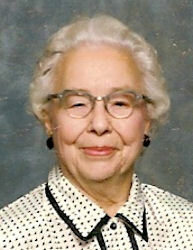 Elizabeth was called Betty by her family and friends. The bride wore a flowered chiffon gown in soft pastel shades, with pink accessories, and carried a shower bouquet of Briarcliffe roses and lily of the valley. 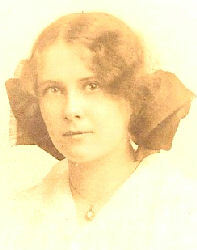 Little Betty Kirton, niece of the groom, as flowergirl, was wearing a quaint frock of organdy and carried a nose-gay of sweet peas and forget-me-nots. the mother of the bride wore a gown of blue crepe and a shoulder bouquet of sweet peas and lily of the valley. During the signing of the register, Mrs. Harold Johnson sang, O Perfect Love. Mr. George Rapley presided at the piano. Following the ceremony a reception was held, after which the bride and groom left on a motor trip. On their return they will reside on Wellington street south.